I don’t think I’ve said it enough, but I LOVE doing this podcast. It’s a bit selfish. I love doing this show for myself just as much as I do for sharing content with you. A lot of people ask me if I miss terrestrial radio, and I have to say that as long as I’m able to share my thoughts with you folks here, I’m pretty content. In my 10+ years in radio, I did a little bit of everything. I interviewed Super Bowl champions, World Series champions, professional bull riders, rock stars, comedians, and more. I was a Sports Director (twice), a News Reporter and even, foolishly, an Interim News Director. I was a go-to fill-in man and was an Afternoon Drive jock. Now I sell cars to pay the bills and podcast for fun. 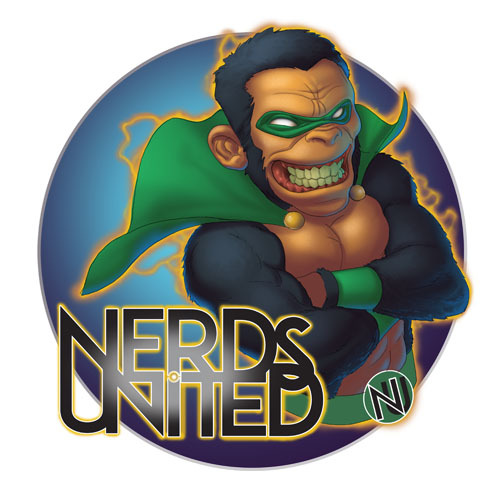 In Nerds United, I’ll be talking with creators and fans about their craft and some of their favorite works. If you’re new to the show, “Welcome.” If you’re a frequent visitor to the Nerd Dome (trademark pending), I thank you. Regardless of your length of stay, I truly appreciate it. Nerds United…it’s me. It’s my baby, and I can’t wait to see it grow and succeed. So support the show if you can by clicking that “Share” button when you see a new episode. And my fellow Nerds…let’s Unite! Show a little love to my sponsors!